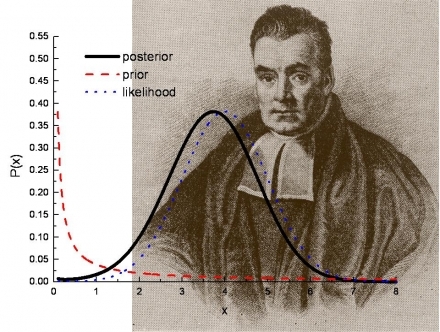 Frequentist or Bayesian: Why choose, when you can have both? While most companies, including Optimizely, offer you a single statistical model for analyzing and reporting, which is either Frequentist or Bayesian, we want to let you choose what works best for you. So the alternative solution proposed by Omniconvert is to give you access to both of them. This way, after seeing the reports of your experiments using both models, you'll be able to decide which one is best for you. How does segmentation affect my conversions? No one likes to be treated “same as everyone”. You are no different, and your visitors aren’t either. Displaying the right content to the right groups of people is what often makes the difference between a sale and a no sale. 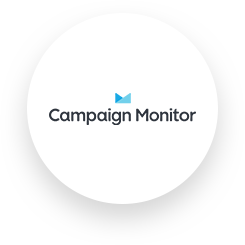 It’s so easy to create segments based on who your visitors are, where they come from, what products they viewed, from which campaign they landed on your website or any winning combination you can think of. You can also use a push code to send to Omniconvert valuable info on existing clients from your database for an even more personalized website experience. There’s an example how you can use this below. One size doesn’t fit all. 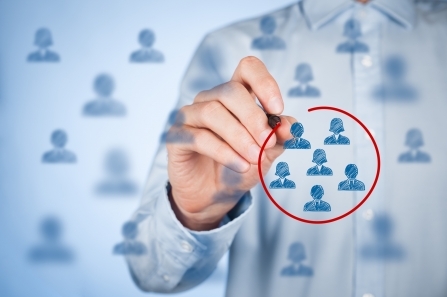 You can now personalize the experience of different visitor segments with just a few clicks. 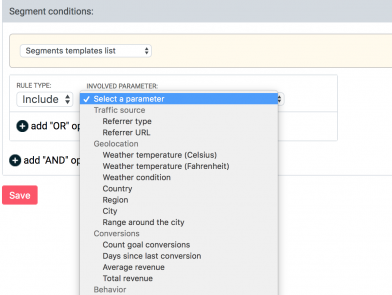 While Optimizely free trial has 14 available variables you can mix and match, you will find three times that number with Omniconvert, such as Weather Condition, on site behavior, or custom variables from your database. There’s a full comparison of the features in the chart below. 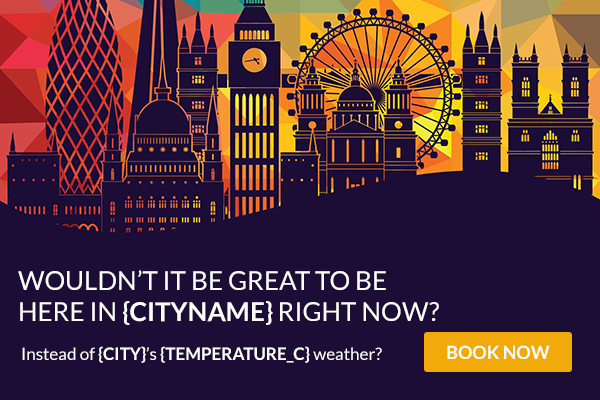 "Omniconvert is a great solution for those new to testing and personalization, and it has the advanced features to grow as the team becomes more sophisticated"
Segment visitors by weather condition to grab their attention and interest. How’s this for a call to action on a dull, rainy day? Unlike most A/B testing and personalization tools such as Optimizely, Omniconvert helps you connect valuable data on existing clients with real time actions on your site. 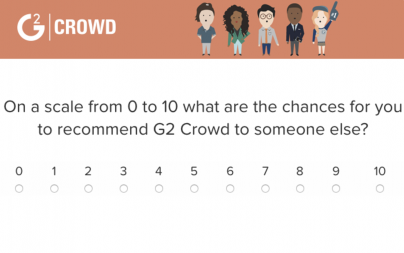 Surveys are a valuable resource at your fingertips not only for gathering insights, but they also enable you to interact with visitors directly, through preset sets of questions triggered at certain points along your funnel. Guide your potential clients on the site, help them find what they are looking for and even overcome their objections when they occur, like you would if your website was a physical store. 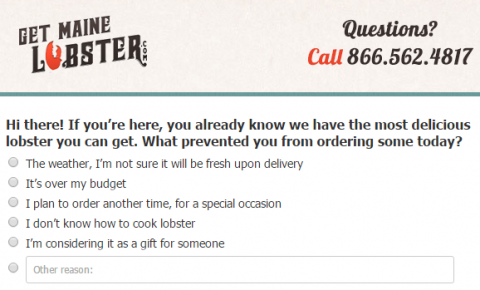 One of our clients selling lobster was looking for a solution to rescue some from the high number of visitors who were leaving the cart page before buying. And he found it. This is a one question survey displayed for visitors exiting the cart page, asking them why they won’t complete the order. Based on their answer, a different interaction is being triggered, meant to clear out any FAQ uncertainties. 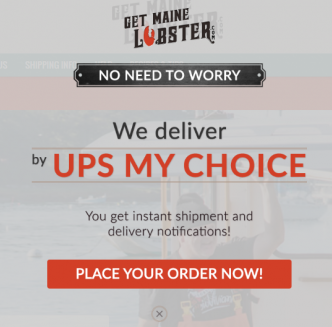 For example, visitors who were uncertain the lobster will be fresh due to shipping times and hot weather were displayed a reassuring message that Getmainelobster is using the best delivery services, and invites them to finalize the order. From here on, they received a specific answer meant to treat each objection. "The weather, I’m not sure it will be fresh upon delivery"
This personalization was shown so that they were made aware of fast UPS shipping that also had delivery notifications. In addition, the creative dissolved the worry objection and followed up with a clear Call To Action (CTA). 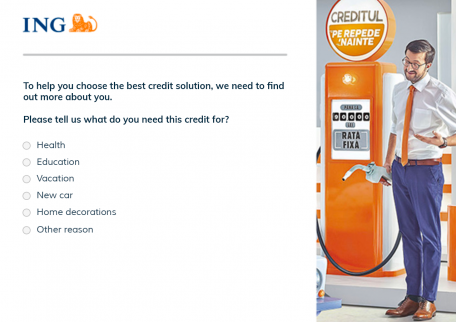 Display a one time question to figure out something regarding who your visitors are or what they might be looking for, so you can later personalize their shopping experience. Direct them straight to the info they need and provide a seamless visit on your site. For example, a visitor on a bank site looking for an education loan probably needs a different type of convincing than someone who wants to buy a new car or go on vacation. You can now better serve your potential clients’ needs by displaying the offers and info they are more likely to need, when making a choice between you and your competition. Optimizely offers the ability to use on page variables and other dynamic texts in your A/B experiments. With Omniconvert, you can also use them as eye grabbers in your overlays. 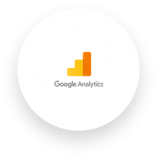 Some other variables you can play with are: the value of the cart, limited offer countdowns or 1st party data on existing clients. 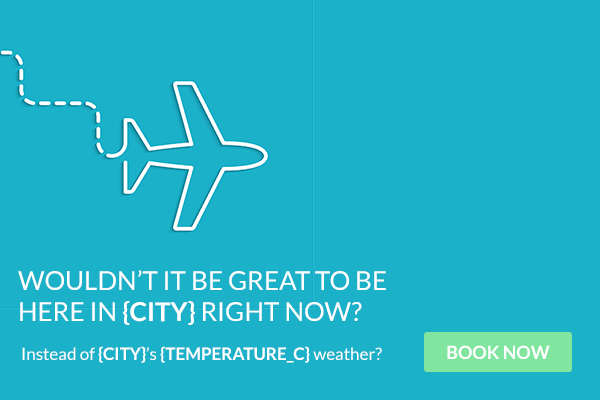 In this fashion use-case, the weather condition variable is being used in order to persuade visitors to complete the order, by offering a targeted incentive for their next order. 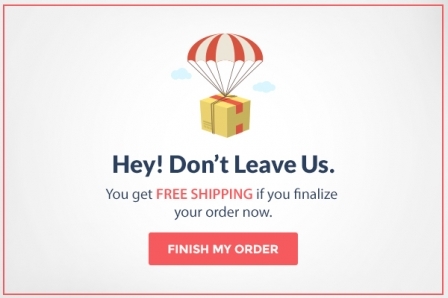 Using exit intent pop-ups, you can target the visitors that would have been lost otherwise. This means that every time a visitor is about to leave your website without taking any of the actions you wanted them to do - sign-up for a newsletter, purchase a product, download a resource, etc., with an on-exit pop-up you have a second chance to get their attention. 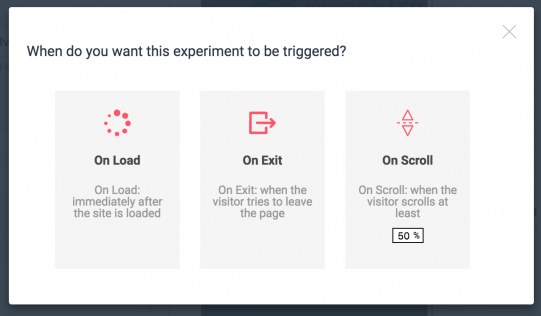 So with this feature, you obtain extra engagement, on top of whatever experiments or A/B tests you are running on your website. When you have a testing idea after you’ve done your research and analysis, you want it done a.s.a.p. But if you don’t have access to an easy to use template editor like the one we have at Omniconvert you have to wait for the dev team to implement it. And this can be frustrating. The ready to use overlays is a feature that doesn’t exist on Optimizely. With our template editor, you can easily create, customize and implement your own overlays in minutes. You don’t need to know how to code so you’re going to save time and money. Create all kinds of pop-ups or ribbons, from sign-up to newsletter to special offers or coupon codes, the sky's the limit. We know that proper strategy is vital in getting those conversion uplifts you are so looking for. Conversion vault is a collection of successful ideas written by Conversion Rate Optimization experts worldwide like Brian Massey, Talia Wolf, Chris Goward, Joseph Van Tonder and Valentin Radu. While they are normally charging thousands of dollars for a few consultation hours, you can steal these winning ideas from them directly from your Omniconvert dashboard, for free. Check them out and optimize your website like a pro. Unlike Optimizely, Omniconvert also helps you invest less time in reporting. 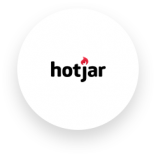 Stop spending endless hours to create slideshows and spreadsheets for your meetings with management. Edit and download easy to read and comprehensive reports for all your experiments. We know you have your own set of favorite tools before starting to work with Omniconvert. Thanks to our Zapier integration you can connect any service you’re currently using with your Omniconvert experiments, while on Optimizely you don’t have this possibility. 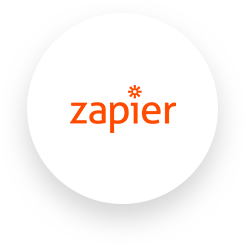 With Zapier you don’t have to waste time manually adding leads from an Omniconvert pop-up to your current email marketing provider. Or any other CRM or software you’re using for your marketing and sales activity. At Omniconvert, we place customer success and satisfaction on the very top of our KPIs. We know how important it is for you to have a reliable and fast point of contact so we gathered the most talented people to be there for you whenever you have a question regarding setting up an experiment or just need a piece of advice. The responsiveness of the team is just amazing. We had some very very unique use cases we needed to address. We contacted VWO, Optimizely and Omniconvert. Omniconvert were the most proactive team, they really listened to us in order to understand what we needed, and helped us achieve it. If you are already an Optimizely user, we want to make the transfer to Omniconvert as easy as possible for you. Our developers will take care of the migration on your behalf, so you won’t have to redo the experiments you have initially set in Optimizely. Optimizely uses a Pay As You Go system for the usual subscribers and a custom one for enterprise level. 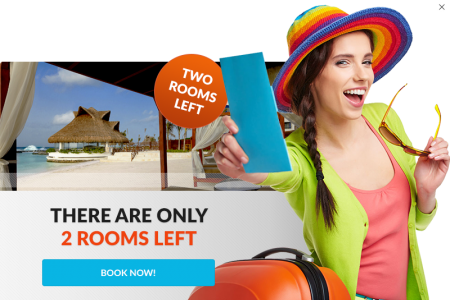 Their minimum price point is $49 for every 1,000 monthly unique visitors that you test. 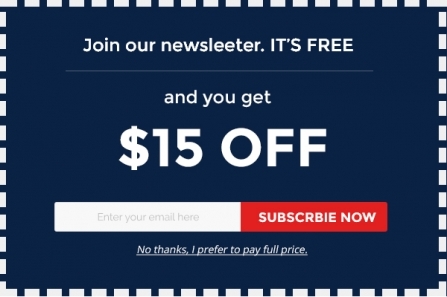 This means that if you wanted to test 5000 monthly unique visitors you’d have to pay $245. 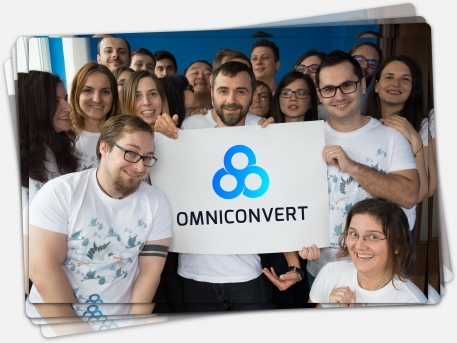 Compare that with the alternative offered by Omniconvert: a lifetime free access for up to 5000 monthly unique visitors so you can test as long as you need. This means you can try now for free what you’d have to pay $245 at Optimizely. Ready to transfer your experiments?